El Iberico is the latest restaurant to open in Pavilion. It offers casual full service dining and their Iberico pork inspired ala carte menu also features a number of other familiar Spanish dishes. Prices are fair considering they are using one of the finest pork products in the world. The piece of resistance here had got to be the Iberico Pork Ribs @ RM68. The standard portion (~400g) is large enough to be shared among 3 to 4 pax, but shouldn’t be a problem for 2 pax to finish, as it’s absolutely delicious. Compared to most porky joints out there that rely on strong flavored sauce to make the ribs good, Iberico pork ribs pretty much sell themselves. 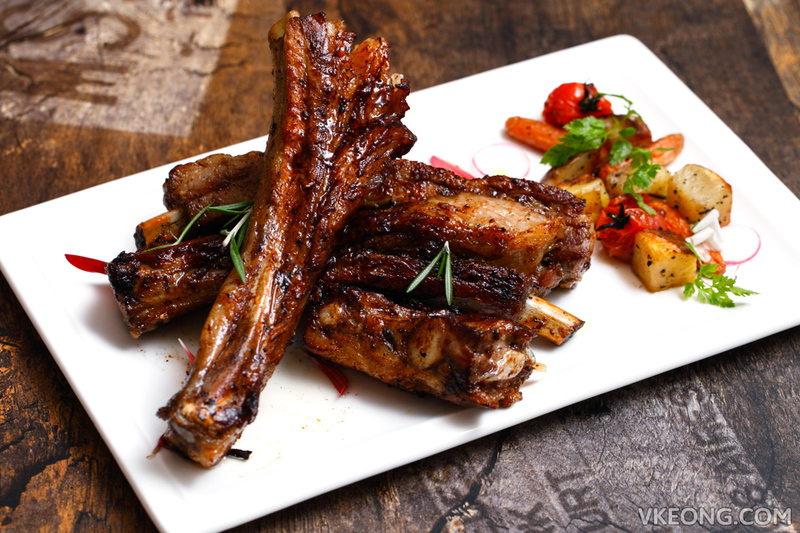 At El Iberico, the ribs are minimally seasoned and are marinated in beer and honey for a day before going on the grill. This helped to accentuate the flavor of the pork and you can certainly taste its natural sweetness as the fat melts in your mouth. 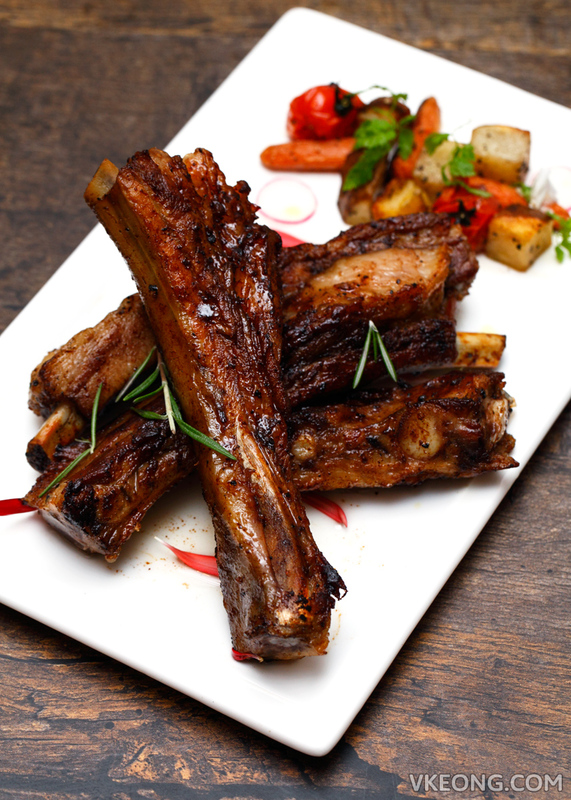 And since the ribs are so tender and succulent, you can set your fork and knife aside for this. Just ask for a pair of plastic gloves and enjoy them with your hands for the full experience. For a steak-like treat, the Iberico Pork Secreto @ RM78 will not disappoint. It’s named ‘secreto’ (Spanish word for secret) because this cut so good that the butchers kept it for themselves. Known for its well-marbled texture, it’s extremely tender and infused with rich acorn and herb flavors that Iberico pork has to offer. 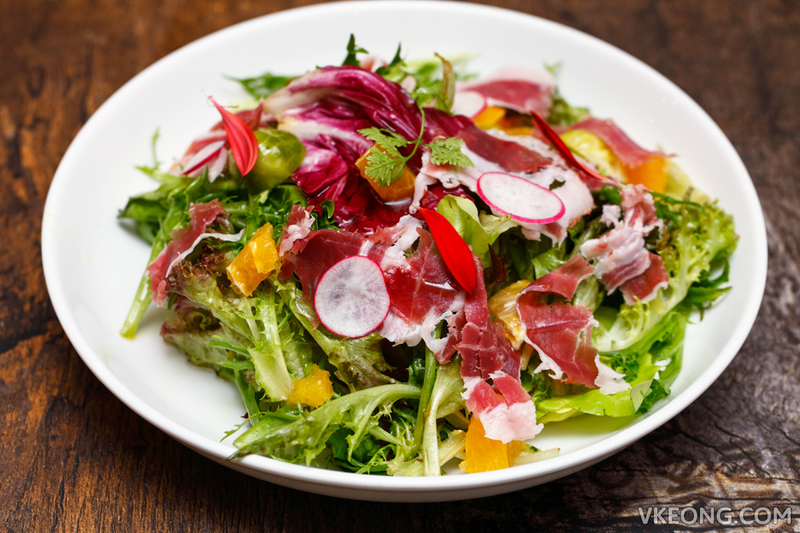 Even a simple salad is transformed into a connoisseur’s delight with the addition of Iberico ham. The Iberico Ham Salad @ RM26 was fresh and crisp, bright and fruity with a sweet-salty flavor profile. Bored of having the same old mushroom and pumpkin soups? 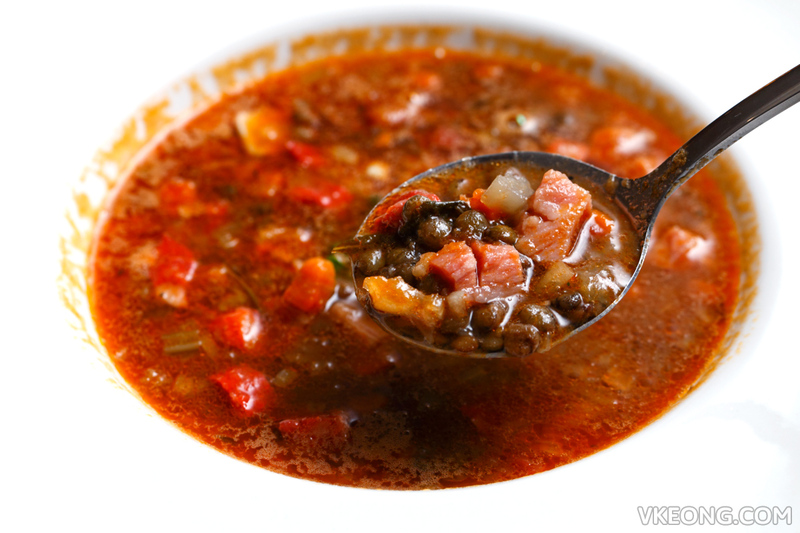 Then opt for the Lentils soup @ RM20. The creamy lentils work so well with the smoky Iberico chorizo and cured pork belly for a savory taste and meaty goodness. Highly recommended. El Iberico wouldn’t be a Spanish restaurant without paella. 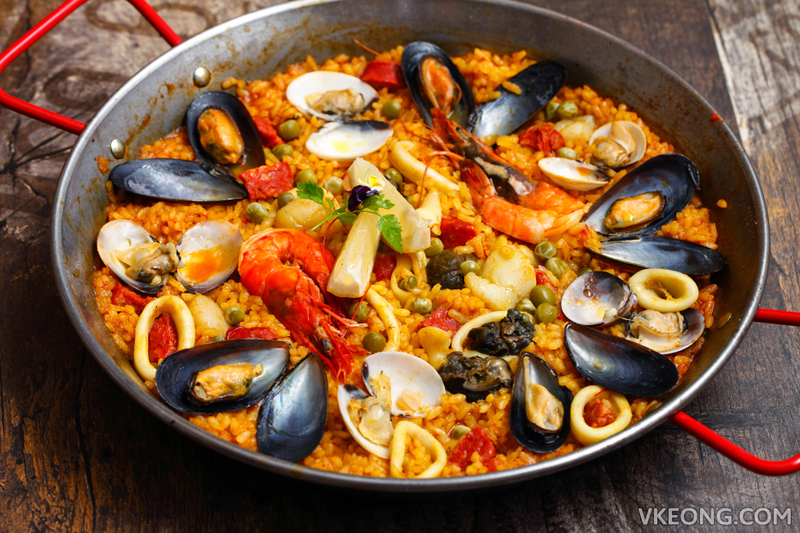 And despite being described as a portion for 2, the Seafood Paella‘s portion was large enough to be easily shared by three or more. There’s plenty of fresh seafood to go around including prawns, clams, mussels, squid and scallops. The rice was nicely cooked to have a little bite and absorbed the saffron and chorizo-infused broth beautifully. RM65. Tapas are of course on the menu and offered in abundant options. 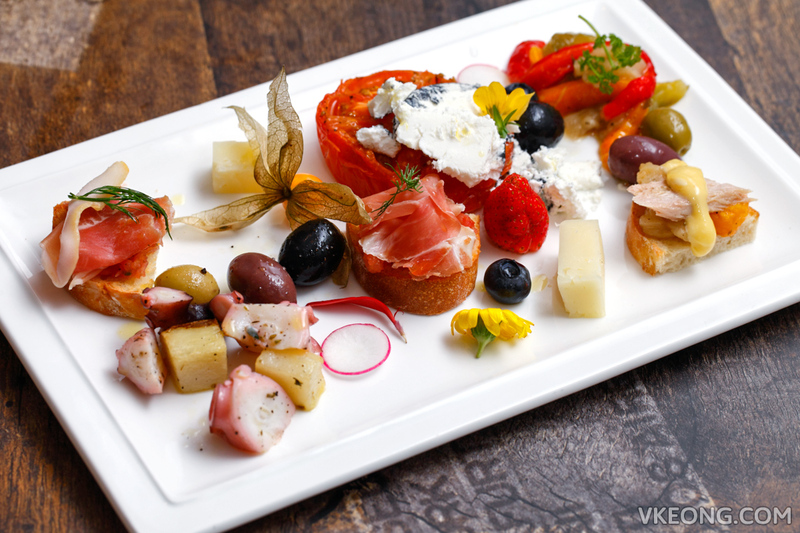 For sharing, the Assorted Tapas Platter @ RM35 could be considered, as it combines a variety of tapas in tasting portions. Among them, the most memorable ones were the marinated octopus, tomato bread with serrano ham and tuna belly with peppers and alioli sauce. 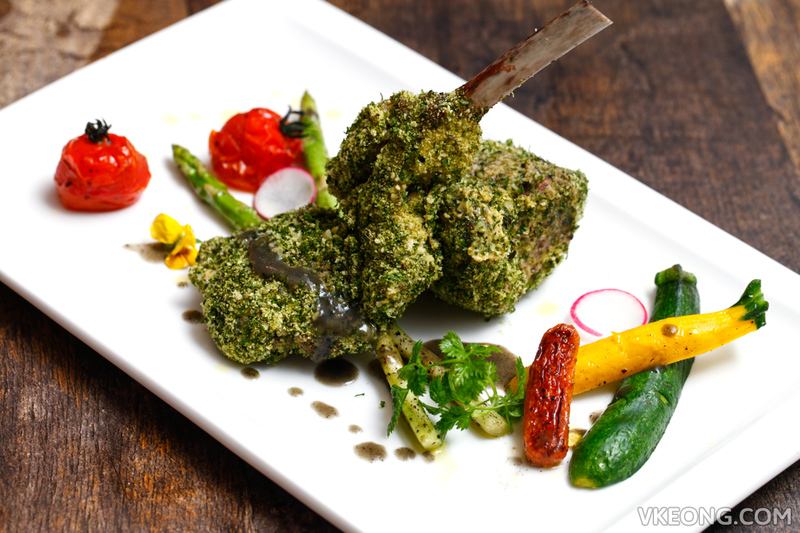 El Iberico also have equally delectable non-pork dishes such as the classic Lamb rack and loin (with herbs crust, asparagus and baked tomato in wine) @ RM68 and Pollo al Jerez (chicken with potatoes, green peas in jerez sauce and micro salad) @ RM29. 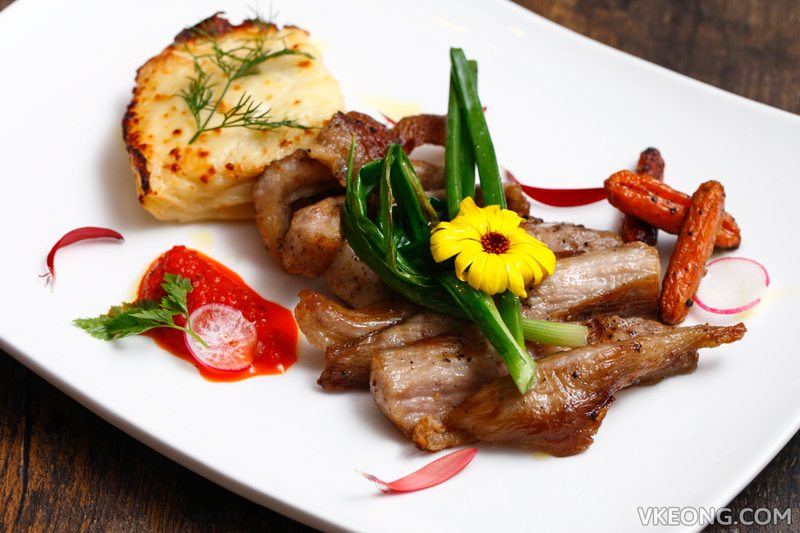 The duo of lamb has a substantial amount of meat, in fact almost all meat so it matches its price tag. Cooked to a perfect medium rare, the herb crust was well seasoned with a powerful aroma. 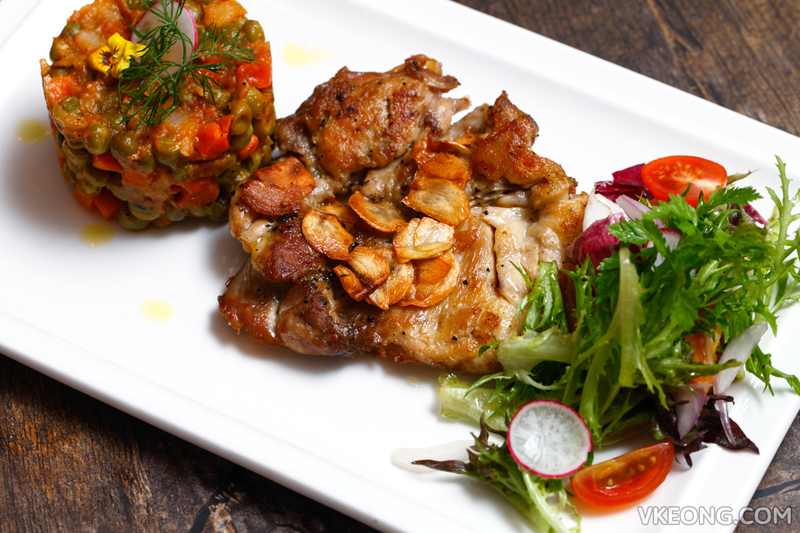 The grilled chicken was juicy and drizzled with a fragrant and sticky sherry sauce infused with garlic. 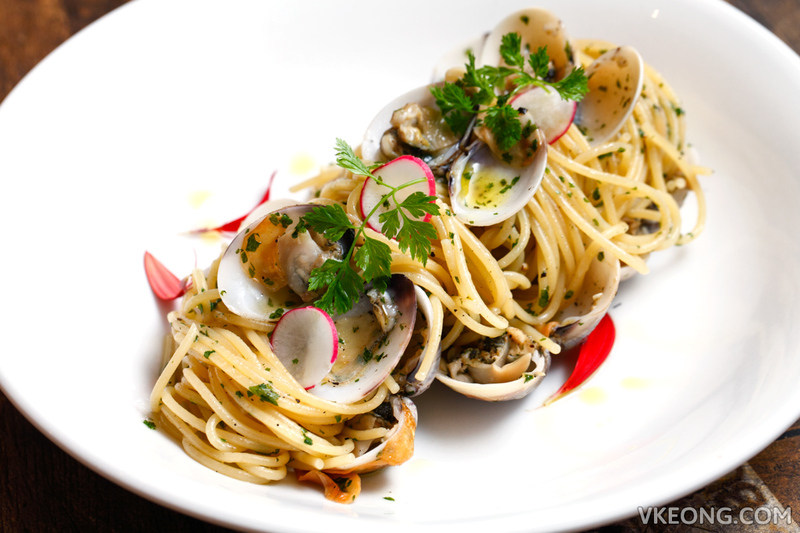 For pasta we picked our all time favorite – Spaghetti with clams and chili in white wine sauce @ RM29. Rustic and simple, it’s extremely hard to go wrong. Dessert wise there are only a few choices currently but the good thing is they are all made in house. 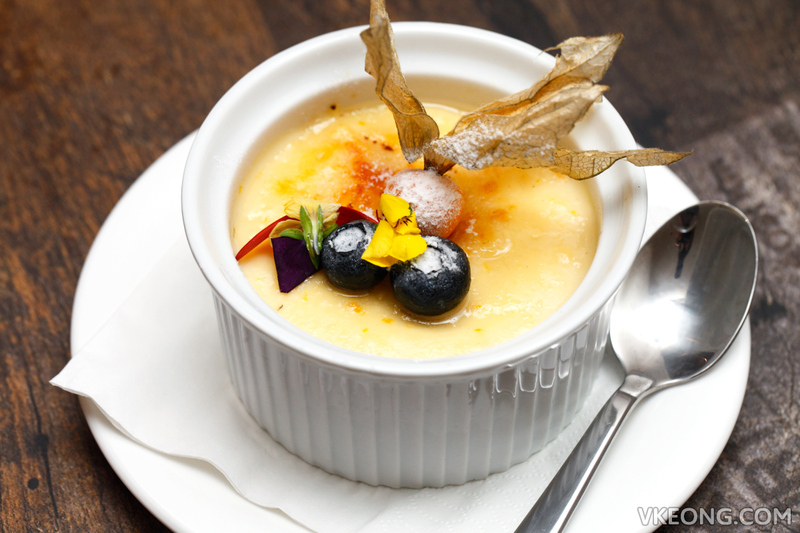 The Spanish Flan @ RM10 is a creamy custard dessert with a lightly torched crust on top for a toffee finish, kind of like a creme brulee but not exactly the same. 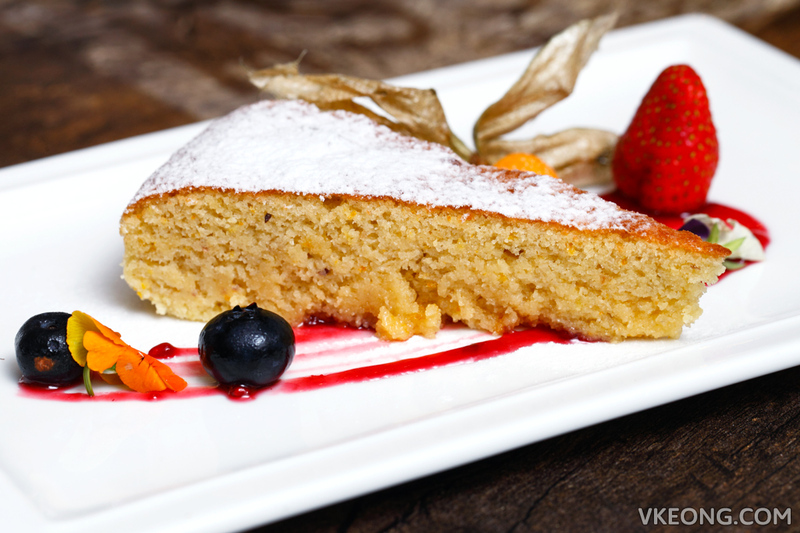 At first glance, the Spanish Almond Tart @ RM18 looks like an ordinary slice of cake but you’d be surprised by its uniquely dense and spongy texture. Personally, I find it so good that it’s worth dropping by just to have this. A nice selection of house wines are also available to compliment your meal, eg. Demba Tempranillo Merlot and Finca Feroes D.O Rueda. They go for RM23 a glass. We also tried the sangria which was delicious and refreshing. 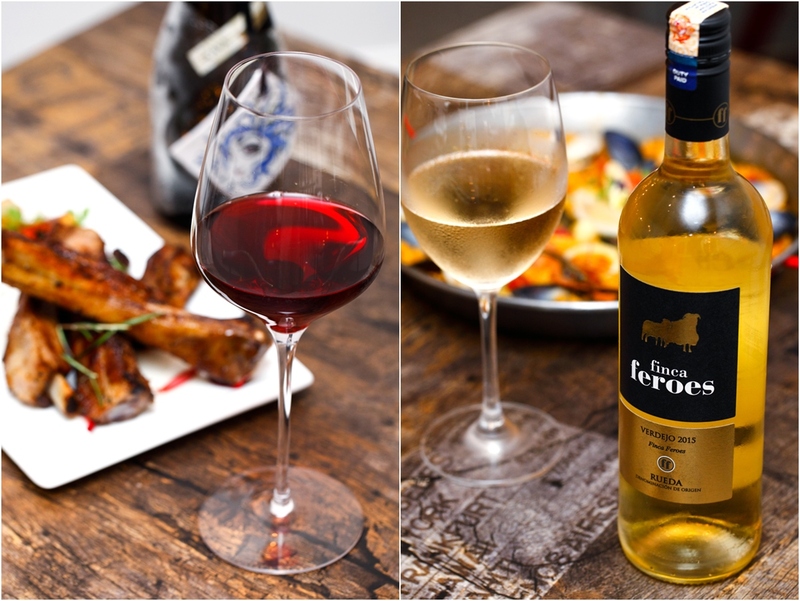 If you are working nearby and looking for a more respectable set lunch, El Iberico offers a 3 course set lunch @ RM28++ that includes an appetizer and the awesome cake and zesty (non alcoholic) sangria that I mentioned earlier. My office used to be walking distance to Pavilion and a normal set lunch (main course + iced lemon tea) would cost you around RM20 at the typical restaurants. With everything considered, the extra RM10 or so is worth paying for an extra course, better ingredients and ambiance. 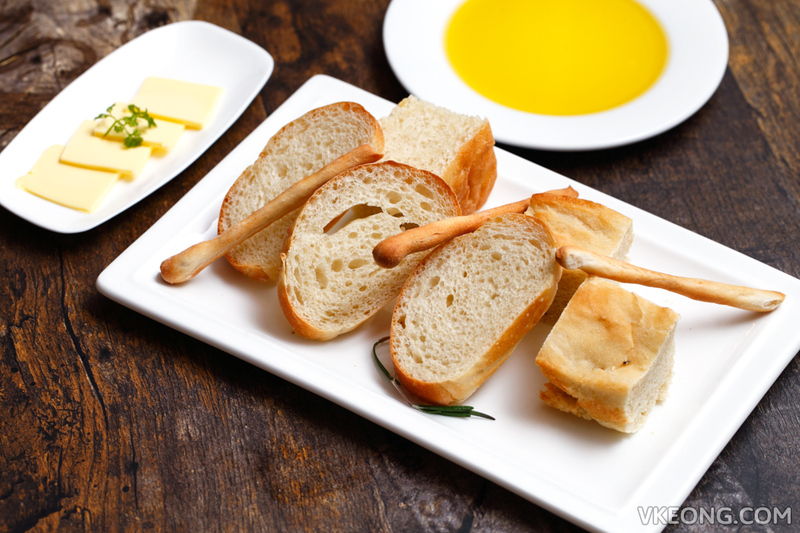 Not to mention you also get a complimentary serving of their daily made bread while waiting for your meal to arrive. For more info and ongoing promotions, head to their Facebook page. The post El Iberico @ Pavilion appeared first on Malaysia Food & Travel Blog.